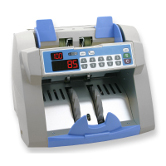 Save time and reduce counting errors with a currency counter. 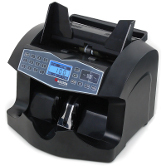 Now you can quickly and accurately count your paper money. There's a bill counter that is just right for your business. The Cassida Tiger delivers commercial-grade performance and features in a sleek, ultra-compact design. Steel components are precision-engineered for accurate and reliable operation and a ground breaking one-piece steel chassis means years of dependable service. Fast and powerful, the Cassida Tiger is as impressive as its namesake. 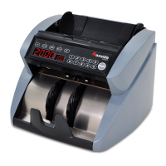 The Cassida 5520 is a professional currency counter designed with users in mind. 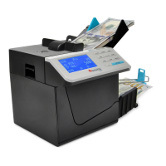 Equipped with features designed to save time and simplify operation, it is ready to take on a variety of cash-processing jobs. Counting begins automatically when bills are placed on the hopper platform. No need to push bills into the hopper, the innovative bill turner on the 5700 will do that for you. 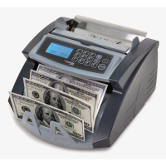 A large LED screen showcases number of bills counted, as well as denominations and total value of count when using the available ValuCount feature. 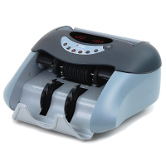 The Cassida 6600 is a professional currency counter designed to tackle a wide variety of counting jobs. Fast, accurate, and equipped with a host of smart features, it is a reliable all-around performer. 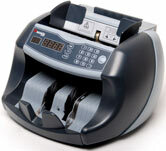 The Advantec75 is breakthrough in currency counters. Built to standards usually reserved for aircraft components, it combines speed, precision, and versatility into one heavy-duty machine. Packed with cutting-edge features and tested in ultra-demanding counting environments, the Advantec 75 is ready for any mission. The Cassida 85 is built one way: tough. Manufactured from durable steel components, it is designed from the ground up for years of high throughput operation in commercial applications. The Cassida Cube saves you time and effort by accurately counting and sorting mixed bill stacks. No need to sort by hand; simply stack bills of all denominations right on the Cube, press a button, and counting begins. 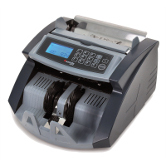 The cube identifies denominations automatically and tracks both the count and value of bills run through.